Norwegian Cruise Line recently announced an exciting update to its 2018/2019 schedule. 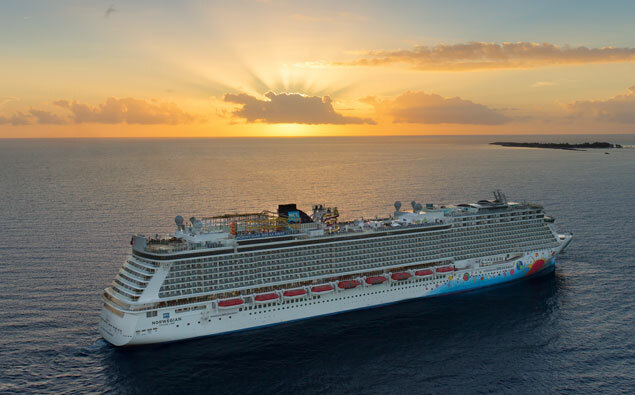 The Norwegian Breakaway, one of Norwegian’s newest and largest ships, will sail from New Orleans, Louisiana during her 2018/2019 winter season. Norwegian Breakaway will spend summer 2018 cruising in the Baltic, and then reposition from New York City to New Orleans for her 2018/2019 winter sailings to the Caribbean. A few of the fantastic ports of call she will visit are Cozumel and Costa Maya, Mexico; Ocho Rios, Jamaica; Georgetown, Cayman Islands; Harvest Caye, Belize; and many more! 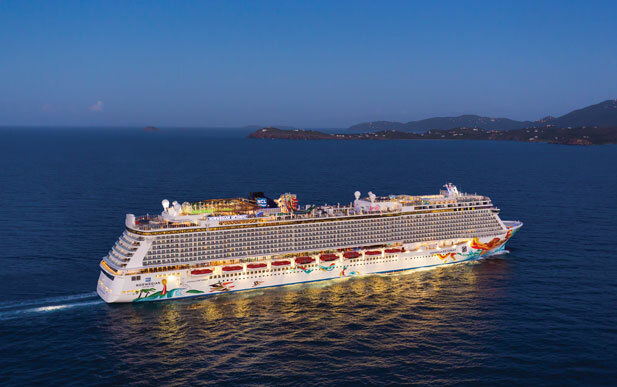 Now that Norwegian Breakaway will be sailing out of New Orleans, Norwegian Cruise Line is giving travelers wanting to sail from the Crescent City an opportunity to experience their dream cruise. This summer, Norwegian Cruise Line is expanding its stationed pool monitors with the addition of lifeguards trained and certified by the American Red Cross to provide lifesaving rescue measures for all guests, especially younger ones. 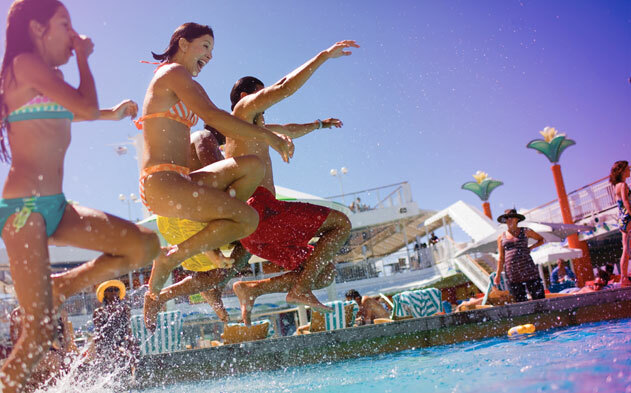 Starting with the four largest ships – Norwegian Escape, Norwegian Getaway, Norwegian Breakaway and Norwegian Epic – the uniformed lifeguards will monitor the family pools during scheduled pool hours and complimentary swim vests will be available on the ship’s pool deck during daytime hours. The remainder of Norwegian’s fleet will receive this service beginning early 2018. Please note: Adult supervision is required at all times for the utmost safety of all children onboard. 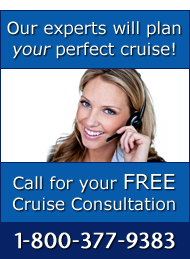 Contact our cruise specialists today on 1-800-377-9383 to book your next family vacation with Norwegian Cruise Line. 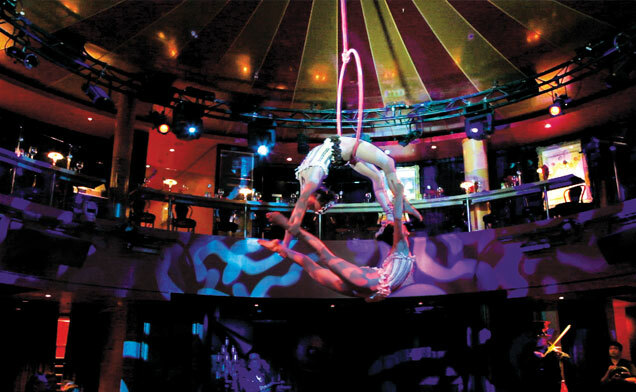 This summer, Norwegian Cruise Line is expanding its theatrical dining experience with the introduction of three new-over-the-top shows: Cirque Dreams Epicurean, Cirque Dreams Jungle Fantasy: The Broadway Hit, and Cirque Dreams and Steam. All three shows fall under the umbrella of ‘Cirque Dreams & Dinner’ which will be featured on Norwegian Getaway’s summer season in Europe. Norwegian Breakaway and Norwegian Epic will see a new and improved version of the dining format beginning March 5 and April 14 respectively. Get ready for all-new menus with gourmet dinner that will usher you into the mesmerizing world of spectacular acrobatics. The next generation of extraordinary ships aimed at optimizing fuel consumption and reducing the impact on the environment will be introduced by Norwegian Cruise Line in the next 5 years. The cruise line has reached an agreement with Fincantieri to construct four 140,000 gross ton ships schedule for delivery in 2022, 2023, 2024 and 2025 with an option to include two additional ships in 2026 and 2027. “this new class of ships will continue Norwegian Cruise Line’s legacy of introducing meaningful innovation to the cruise industry.” Much freedom and flexibility, together with innovative designs, will distinguish these 3,300-guest-capacity vessels from all others, as the cruise line builds upon the success of Breakaway-Plus Class ships. These energy efficient ships are currently priced at €800 million per ship. Stay tuned for details on the ships’ many innovative guest-facing and first-at-sea features which will be announced at a later date. In the meantime, check out other recent ship builds from Norwegian Cruise Line. Escape to the Margaritaville state of mind aboard Norwegian Getaway and Norwegian Breakaway as Norwegian Cruise Line breaks down the boundaries of traditional cruising. Imagine the thrill of enjoying the laid back island lifestyle with signature items like “Cheeseburger in Paradise” and “Who’s to Blame Margarita” while docked at a picturesque port with unbelievable ocean views. Thanks to the expansion of the cruise line’s partnership with Jimmy Buffett’s Margaritaville, this imagination will come to life this Fall with exceptional on-board experiences only known to Norwegian. If you’ve ever cruised to the Caribbean, there’s no escaping this nostalgic island moment in one of the new ‘Margaritaville at Sea’ restaurants set to open on September 18, 2016. These upgraded eateries will replace Flamingo Grill on Norwegian Getaway, and former Uptown Grill on Norwegian Breakaway. 2013 was a big year for the cruise industry with the introduction of anticipated ships and updated programming, and for cruisers each and every opportunity to cruise is big deal. 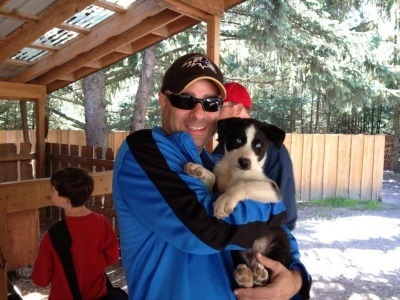 Here we’ve spotlighted some of our team members’ favorite experiences this year. We’d love to add your favorite 2013 cruise experiences to this list, so be sure to tell us where you cruised and why it was great this year! The best cruise I took this year was to visit the great land of Alaska. My wife and I cruised from Whittier, Alaska to Vancouver, British Columbia on the Island Princess back in late August. We stayed at the Hotel Alyeska near Anchorage, saw 26 glaciers in a day on a high-speed catamaran, visited the Alaska Wildlife Conservation Center, panned for gold, experienced Hubbard Glacier and cruised through Glacier Bay National Park. Shore excursion highlights included dog sledding and puppy time in Skagway, whale watching in Juneau and a taxi tour of the Ketchikan area. The best cruise I took this year was on Royal Caribbean’s Allure of the Seas. It was great to go with friends and make some new ones. There was so much to do that I didn’t even have to get off the ship! 1. The Debut of the Norwegian Breakaway – This ship made a statement. She’s not the biggest ship in the sea, and she’s not offering extremely different itineraries, but she is jam-packed with exciting activities and features. 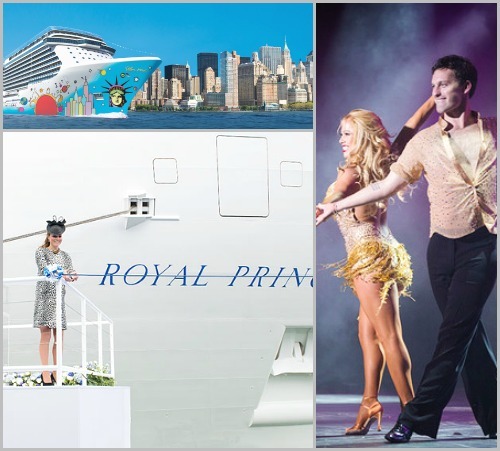 Start with the fact that she has a New York theme, where you can get a hot dog from a cart while onboard, then move to the exciting shows like the Broadway productions Rock of Ages and Burn the Floor. 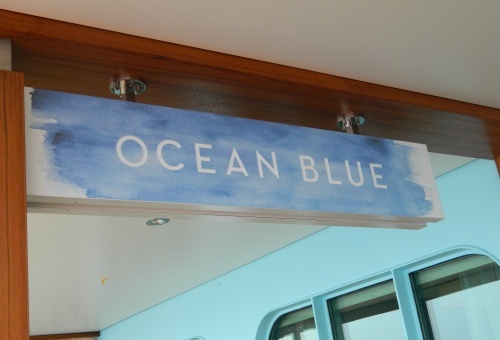 You can also find several gourmet restaurants onboard, most notably Iron Chef Geoffrey Zakarian’s Ocean Blue. 2. Kate Middleton Christens the Royal Princess – Following in the footsteps of her late mother-in-law, Princess Diana, HRH the Duchess of Cambridge, formerly known as Kate Middleton, christened the Royal Princess back in June, just a month before giving birth to Prince George. Diana christened the original Royal Princess back in 1984. The Royal Princess is a landmark ship for Princess, she’s larger than any ship in their fleet and offers innovative features like the SeaWalk and a stunning fountain show on the pool deck. Help Name Norwegian’s Two New Ships! 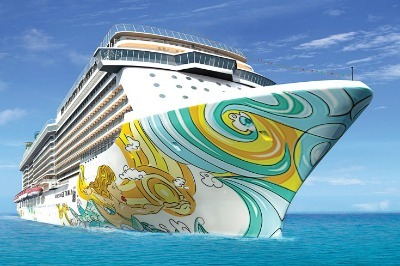 Norwegian Cruise Line is seeking your input as they set out to name their two newest ships. Iron Chef Geoffrey Zakarian is an industry tastemaker. Why? Not only does he talk the talk, but he walks the kitchen.